On the flight in I sat next to Blue, a Montanan living in Paradise Valley. He had seen a few more years than I and wasn’t shy about sharing his experience. He was on his way back from a reunion in Arizona with a group he was involved with that had climbed K2. I was on my way to an interview with a startup company in Bozeman, Montana. I sat there enamored by his stories of sneaking over Persian borders to attempt remote Mountain ascents, only to be woken up in the middle of the night at gun point, forced into a truck and thrown back across the border. He was a rancher. Raised cattle for meat but wouldn’t eat them. The only meat he ate was wild game, mostly elk. For some reason, it made sense to me. When I mentioned the potential start date I could tell he was doing the math of when I would become a resident and if that was in time for the hunting season. He gladly told me I was in luck. As the flight concluded he told me congrats on Moving to Montana. I reminded him it was just an interview. He grinned “I know. See you on the lift at Bridger.” I am pretty sure Blue is the one who sold me on Montana. 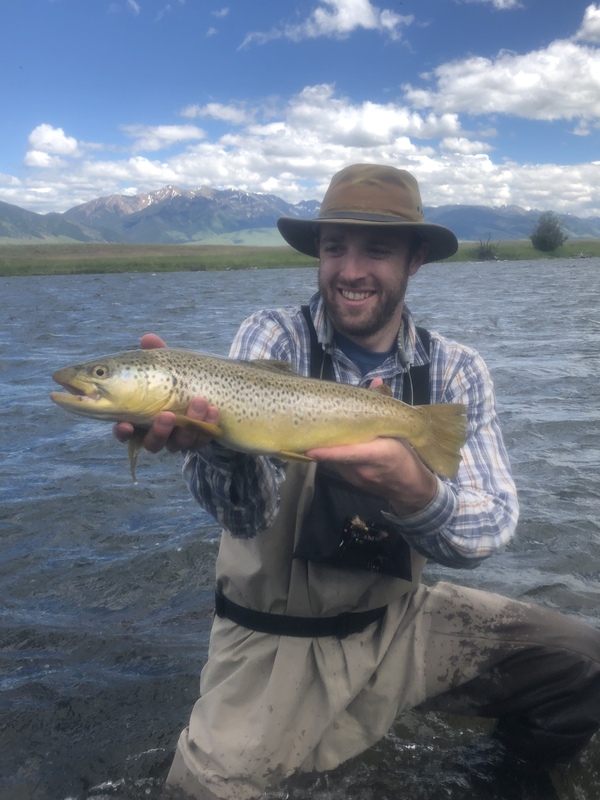 A Madison river brown on a warm June day. More than a year later I feel in debt to Blue. The lifestyle and community have been priceless. I am excited to raise our children here. And although we miss our friends and family back in New Mexcio, we are very happy. The first winter was a little rough, the combination of a new job at a startup company, a toddler, a newborn and Bozeman’s snowiest winter on record (more than 160”!!) was a little exhausting for these desert dwellers. Once summer rolled back around, we were reminded of what the finer things in life are like, so to speak. Summer in the Gallatin valley is hard to beat. My first elk. Harvested during Montana’s 2018/2019 shoulder season. Blue spoke about the infinite possibilities for the outdoor enthusiast in Montana and what that had done for his happiness. Blue was the type of person who would literally drive from Paradise Valley (North of Yellewstone) to southern New Mexico on forest roads only! At the time I thought, “yeah – sure – I get it. Montana is great and all, but New Mexico offers a lot too.” However, Blue was right. For someone like me, the fishing and hunting opportunities have really opened a new door of happiness. 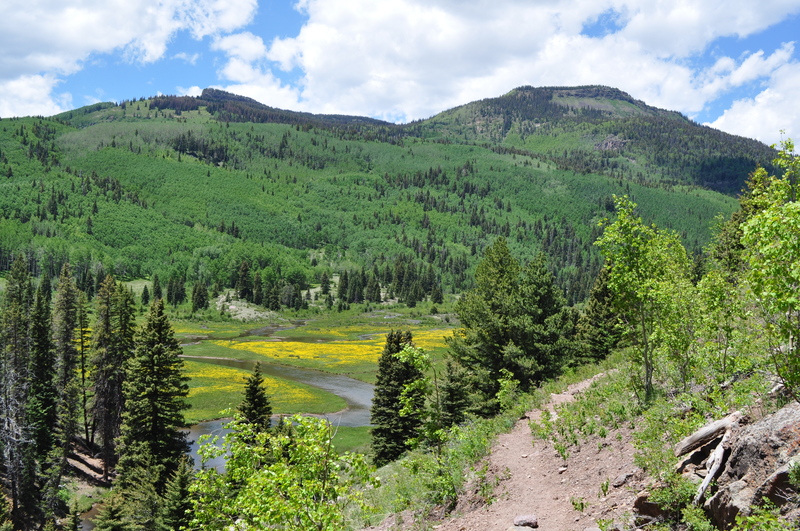 I hope to expose more of the outdoor opportunities, hiking, rafting, morels, etc., as we settle here. 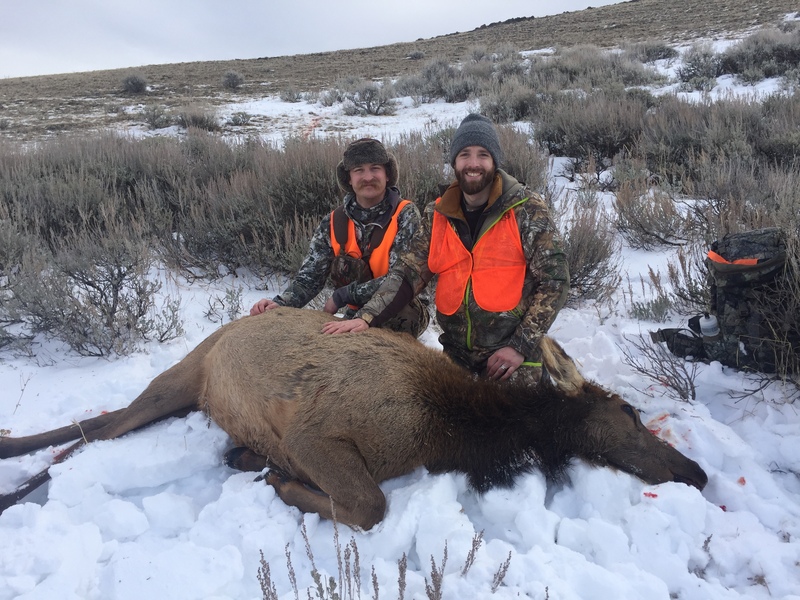 My wife and I have often laughed at how a blog titled “therealoutdoorsman” stopped being updated once it was moved to Montana! Admittedly, one of the reasons is that I forgot my password. Hopefully, we can become more active again in the coming months. For a guy who I only spent an hour with, Blue sure has had a great impact on my life. If you’re out there Blue, and for whatever reason you stumble upon this blog, I hope you are doing well and realize the positive impact you’ve had on my family. It may seem strange, and bit funny, but it is true. I hope to run into you again.